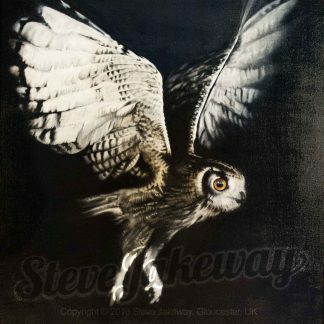 This is an original oil painting of an Eagle Owl that I completed in August 2016 after starting it 2½ years earlier! With the final layers of glazed colour it has a glossy sheen and strong depth of colour. 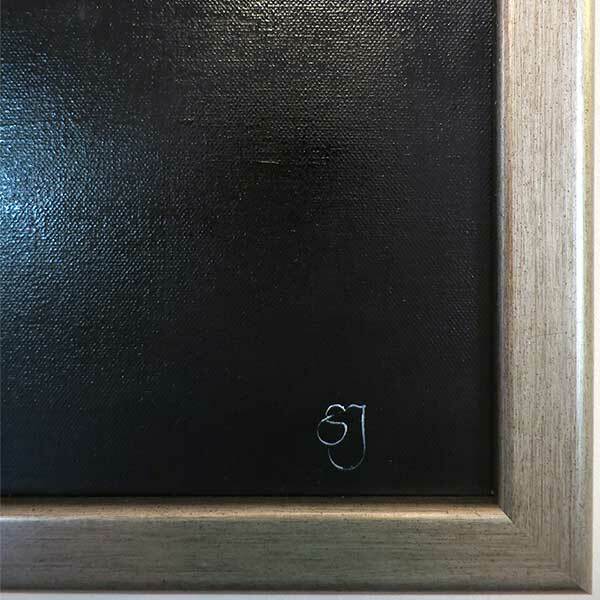 This piece comes framed in a style that I believe finishes the painting perfectly – a quality, hand made wooden frame with a brushed metallic finish. 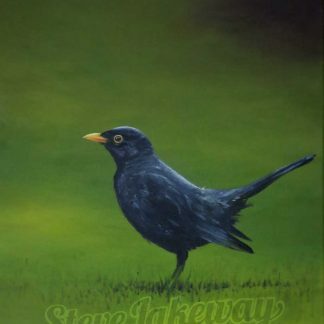 The work is un-varnished as this cannot be done for 6-12 months after completing an oil painting. However, varnishing is a personal choice and not necessary. 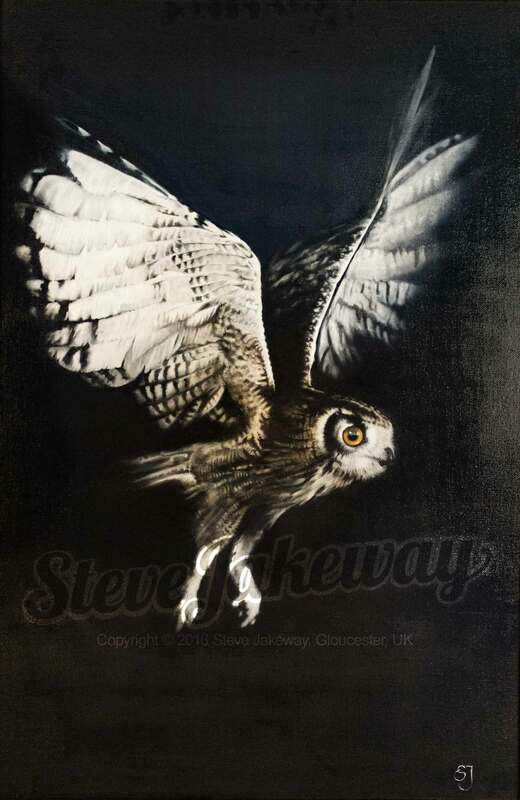 Limited edition prints are also available of this work. Frame style is a brushed metal, slightly distressed look.